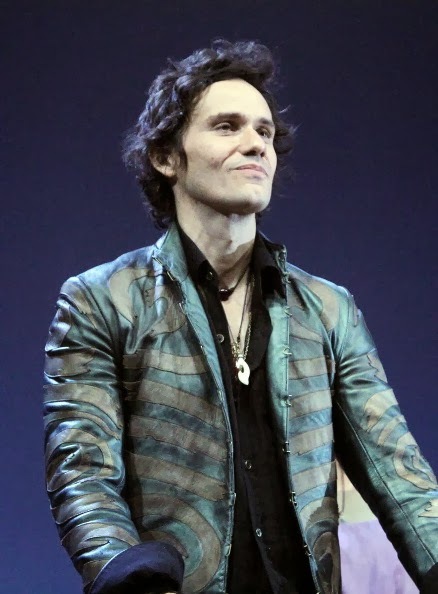 How Christian Camargo creates his performance in Broadway's "Romeo and Juliet"
Christian Camargo didn't always love Shakespeare. When he read Romeo and Juliet in high school, he recalls, "I couldn't stand it. I couldn't stand Shakespeare. I couldn't understand it. I didn't like people who did. I just thought it was very snooty and upper class. I much preferred sports." In fact, he was so turned off by Shakespeare's plays that he avoided them in choosing a classical monologue for his Juilliard audition. He got accepted, however, so there was no more avoiding the Bard. In his first year, a speech professor used Mercutio's famous Queen Mab speech from Romeo and Juliet as an early exercise for understanding Shakespeare's work. And this time around, Camargo's eyes were opened. And despite those early misgivings, Camargo is now a Shakespeare pro, having played Hamlet, Coriolanus, Ariel in The Tempest, and Orlando in As You Like It. He sees Shakesearean roles as especially inviting canvases for actors: "In Shakespeare when you're seeing an archetype, you're seeing that person who is playing that archetype," he says. "That's why there are so many different Hamlets. You're seeing the person playing Hamlet. That's what's most interesting. I feel the same way about Mercutio." 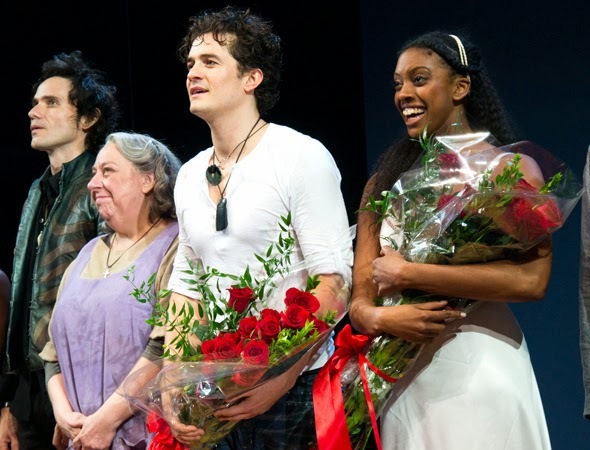 So who is Mercutio, other than Romeo's close friend? "It's a very muscular role," Camargo says. "He's not [on stage] throughout the whole play, but when he's there, he's very present. He's all over the place in terms of his physicality. He very quick on the tongue. Mercutio loves to hear himself talk. He uses sophisticated imagery." Camargo enjoys the challenge of getting an audience to understand what this high-brow/low-brow character is saying, a mix of heightened language and street humor. One strategy is using sexual gestures. For example, when Mercutio says, "Here's my fiddlestick. Here's that shall make you dance," the actor playing him will traditionally take out his sword. Camargo unzips his pants and makes a crude gesture. Given the world that director David Leveaux has created with his production---a modern aesthetic, with motorcycles, leather jackets, and graffiti---this interpretation makes sense. Not only is it edgy, but it also compensates for the fact that there are no swords on stage. 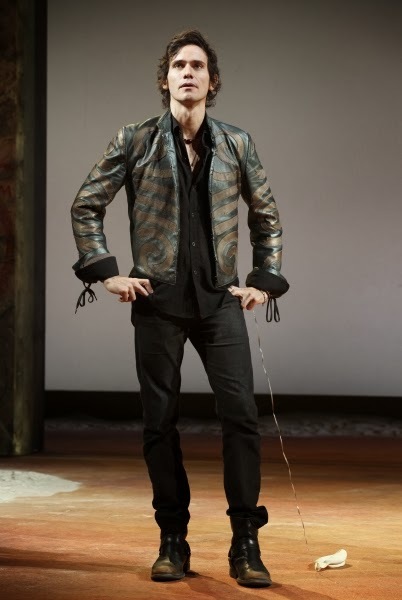 (In this revival, Mercutio is dressed in black, with a leather jacket and lots of bracelets and necklaces---a costume, designed by Fabio Toblini, that Camargo feels is perfect.) Of course, his performance is more than just swagger. As he's getting ready, Camargo looks at the phrases he keeps on his dressing room mirror describing Mercutio's objectives, such as "Challenge Everything." Those help guide his intentions when he goes on stage. "For the first scene that Romeo, Benvolio, and Mercutio are in, it's as simple as 'get into the party,'" Camargo says. "I need to get Romeo to this party. The whole Queen Mab speech comes out of that objective, believe it or not. It seems like the Queen Mab speech overtakes and becomes more about Mercutio himself, but actually what I'm doing is trying to get him to the party by using that speech. By spouting so many freaking words that he finally says, 'Enough!' And I'm like, 'Yes. Those dreams mean nothing, so let's go.'"